Everyone wants to make an active contribution to climate protection and save energy. To achieve this goal, we can use energy saving devices and energy-saving bulbs in the household. But a low power consumption is not the only criterion when we select an appropriate lighting. Scientific studies have confirmed the importance of natural light to our health now detected. 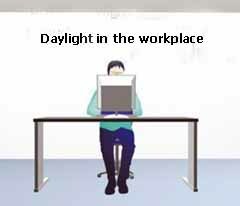 Daylight is optimal for our well-being. It has a harmonious color spectrum (red, green, blue) and a low UV component. The conventional light bulb came the natural color spectrum very close. Only the red component was somewhat increased. 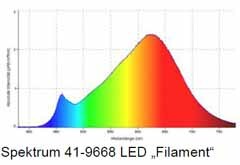 Even the light from halogen lamps largely corresponds to the natural spectrum. Another advantage of conventional light bulbs and halogen bulbs is a uniform flicker of 100 Hertz and a small proportion of flickering light. This entry was posted in light and tagged CFLs, color spectrum, daylight, LED-lamps, lighting on 2015/12/25 by joachim-w.